Just off the east coast and easily accessible by boat is the island paradise called “Cerfs”. Ile aux Cerfs Beach is located almost all around the island that sits within the lagoon near the town of Trou d’Eau Douce. This beach is recommended because I believe you will experience an unforgettable time here. Make plans to go early in the day and spend the whole day on Ile aux Cerfs. Ile aux Cerfs Beach has full facilities. There are restaurants that cater to almost every palate. Try some of the local cuisine. In addition, there are water sports kiosks along certain parts of Ile aux Cerfs Beach. You can get in some great snorkeling here, because there are large, black rocks that protrude into the water making an ideal place for coral and fish to hang out. Ile aux Cerfs has a complete golf course as well. So, if you want to try Mauritian golf – here you go. Complete with that unforgettable Indian Ocean view. 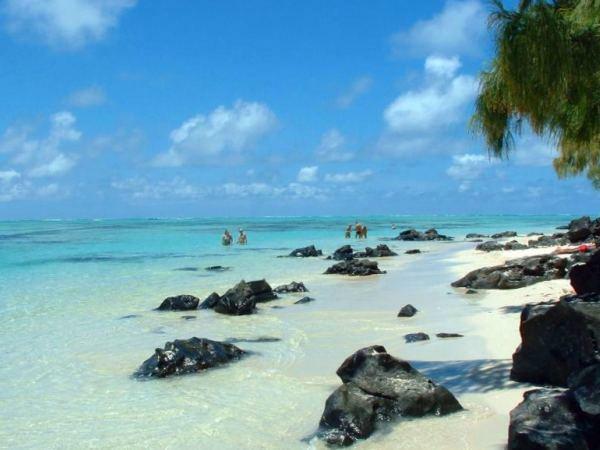 Get to Ile aux Cerfs Beach by taking the small boats located at Pointe Maurice. Ask the operators what the best time is to come back – when you end your day. The fee is minimal and you will enjoy yourself. Make sure you take your camera here – this is one spectacular beach after another. Sand – white powder, coral based, very clean. Shade – umbrellas, trees along the beach line. Notes – a recommended beach, not that hard to get to. 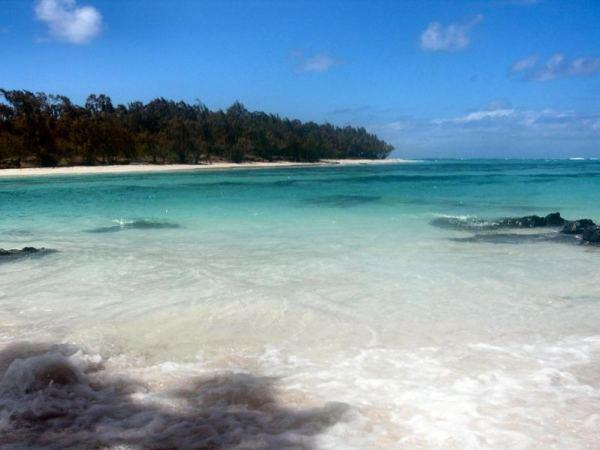 nice article, but maybe you don’t know the whole story about the ile aux cerfs beaches. I’m mauritian and i can tell you that people who own a business there don’t care about environement, the chemical products used for the golf destroy sealife. (the food really isn’t that great and really expensive). by going on ile aux cerf, one, in a way supports the destruction of our country. in 10 or 20 years the “ile aux cerfs” area will be in bad shape if they get on using and abusing everything. i visited your beautiful country in this feb. and fell head over heels in love with it..!! nobody can disagree that ILE aux Cerfs is one of the most spectacular sights in mauritius and we must take real good care of this place. Ile aux Cerfs is one of the best tropical island in the world,best island kept so far not as commercialized as Hawaii and not to mention others.. The clear blue water and white sandy beaches,one cannot dream of a better place. We had the best time on the island,very relaxing and also did some water activities but I have to emphasize how important it is for everyone to take GOOD CARE OF THAT TROPICAL BEAUTY WHILE WE CAN ..GOD CREATED MAURITIUS THEN PARADISE.. I went to Ile Aux cerfs with a company called Mauritius Attractions, they offer many tours excursions and activities in Mauritius. we had great food and the trip there was very nice. I agree with the previous comments that Mauritians dont take care of their nature so much and you see a lot of rubbish everywhere which is not a hotel. iv been to ile aux cerf and it was absolutely amazing!! the white sandy beaches were so soft to walk on and the water was of many diferent colours and so warm to swim in. the parasailing was amazing- it gave a breathtaking view of the island. and dont forget the undersea walks and all the watersports that are available. iv got to say this was the most picturesque beach in mauritius! Mauritius is a lovely country but hey the rubbish along the roads, in the towns and on several beautiful beaches was astounding. I am surprised that the tourist industry has not tried to educate the locals about this. And there were too many starving dogs in all places as well. I wish the locals could take better care of their animals too. waow! ive been to ile au cerf. it was a great pleasure. with wonderful sight and thre even the food is not cheap its really good. tourists are blind they do not see the beauty of Mauritius.